Danger Studios is one of the most trusted and longest established recording studios in the upper midwest. We've provided hundreds of businesses with creative audio and video production services for over 33 years. We're conveniently located in the Designers Guild Building at 401 North Third Street, Minneapolis, Minnesota. Just a block from Target Field. 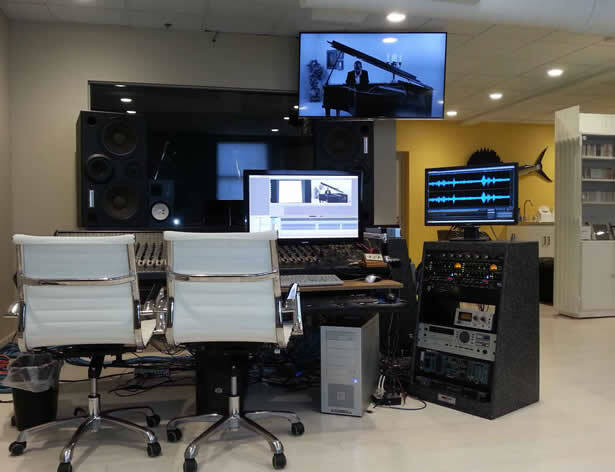 We specialize in a wide range of audio and video services such as: voice-over recording, radio and TV spots, music and sound effects selection, custom music and jingle creation, audio translation recording, subtitling services, web videos, music videos, corporate video production, audio and video duplication, audio and video file conversions and more. We have experience in almost every aspect in this industry. To book your next session, give us a call at 612-338-2510 or email david@dangerstudios.com.